Provide comfort for the family of Gertrude Mathews with a meaningful gesture of sympathy. Gertrude B. Mathews, 96, of Manlius passed away peacefully at St. Joseph’s Hospital. She was born in Lawrence, MA and graduated from Lawrence High School. She was a Realtor for many years at Gallinger Real Estate until she retired in 1996. Gert was a communicant of Immaculate Conception Church and a member of its Guild and former President of the Altar Rosary Society. She was a voracious book reader, loved to cook and entertain for family and friends and volunteered for the Fayetteville Library and Francis House. She was predeceased by her husband, J. Ray Mathews; and seven brothers and sisters. She is survived by her son, J. Raymond Mathews, his wife, Nancy and their children, Jesse (Alexandra) Ghoman and Jenna (Collier) Winters; her daughter, Mary Ellen Pugh, her husband Darryl and their children Colin and Daniel Pugh; and two great-grandchildren, Westbrook Winters and Rosie Ghoman; and many nieces and nephews. Family and friends may call from 9:00 to 11:00 am Friday at Immaculate Conception Church, 400 Salt Springs St., Fayetteville. The Mass of Christian Burial will follow the calling hours at 11:00 am. Burial will be in Immaculate Conception Cemetery in Fayetteville. In lieu of flowers, contributions may be made to Symphoria, 234 Harrison St., Syracuse, NY 13202 or F.I.S.H. c/o Dennis Brady, 4897 Ledyard Dr, Manlius, NY 13104. Ray and MaryEllen and Family, You are in our thoughts and prayers. Love, Sandy, Karen, Denise, Jim & Carol, Tom & Liz, Joey and Maria. 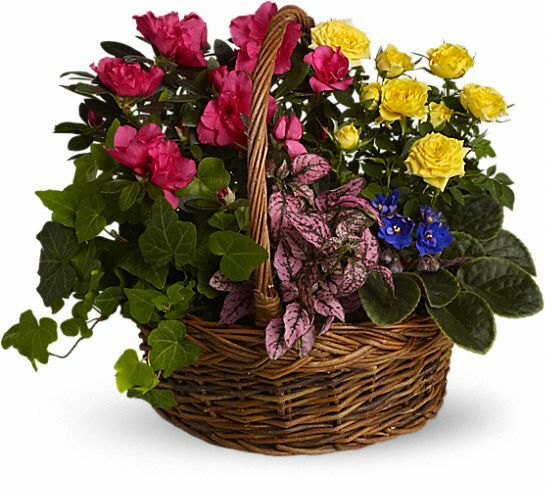 Heartfelt Sympathies Store purchased the Blooming Garden Basket for the family of Gertrude Mathews.